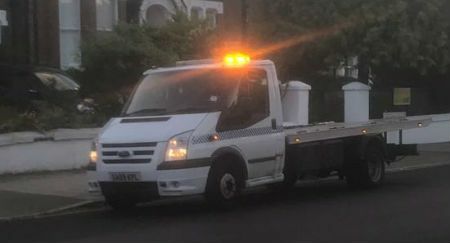 In a breakdown situation FirstLine Recovery provide a fast, reliable service to repair or move your stranded vehicle to a safe place where it can be restored. 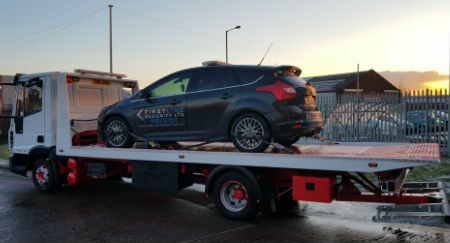 The FirstLine Recovery roadside assistance fleet are available to help motorists in cars, vans, motorbikes, motorhomes and lighter commercial vehicles. 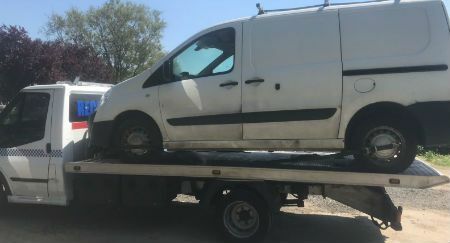 FirstLine Recovery quickly and efficiently remove abandoned vehicles and complete all necessary legal paperwork to make sure removal is as quick and painless as possible. 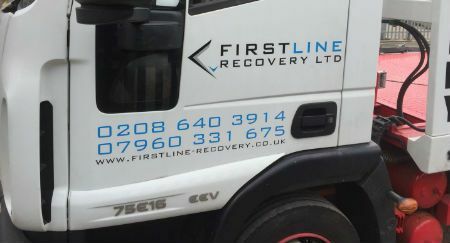 The FirstLine Recovery Repossession Team are professional, firm and unfailingly polite, protecting your brand and causing minimum distress to your clients. 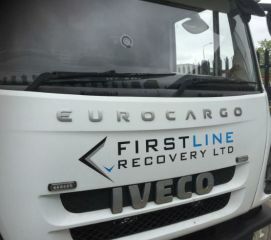 FirstLine Recovery have a built solid reputation as a trusted, reliable vehicle transportation service in the South East of England. 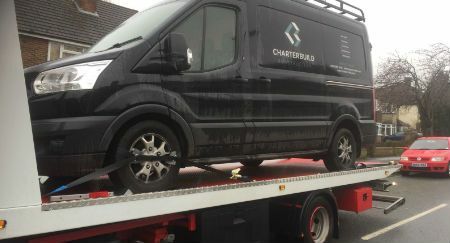 We understand the knock on effects of commercial vehicle problems and act quickly and efficiently to resolve the issue. 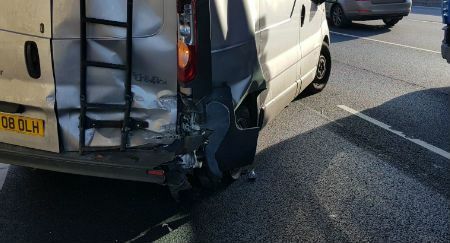 Our team offer a quick, reliable and professional all terrain accident recovery service throughout London, Surrey, Sussex, Essex and Kent. 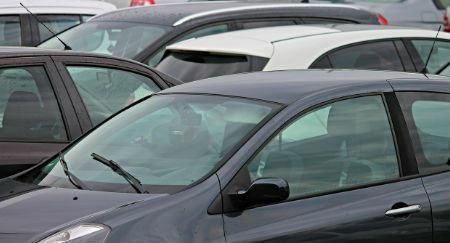 We are available to collect your damaged vehicle, whatever the condition, and bring it safely home or take it for repairs. 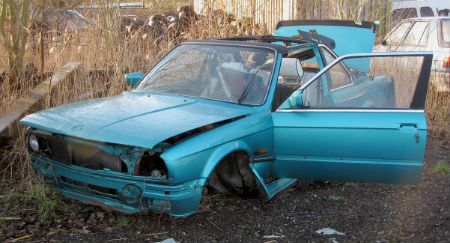 FirstLine offer a full, transparent and well documented scrap vehicle collection service throughout London, Surrey, Sussex, Essex and Kent. 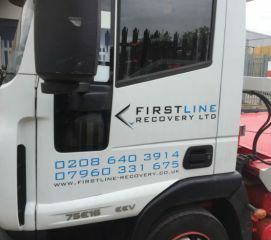 FirstLine Recovery offer vehicle storage solutions to businesses and private individuals throughout the South East. 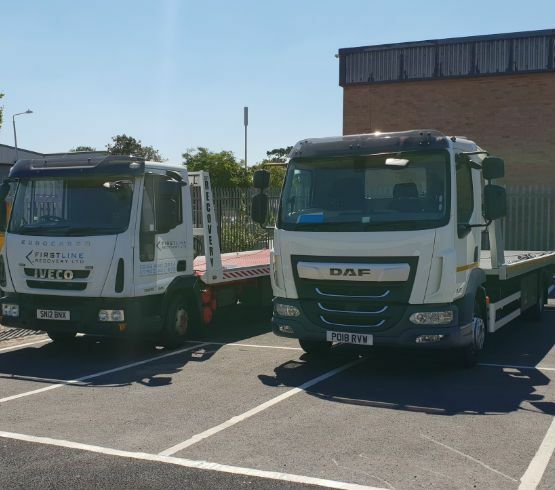 FirstLine provides a fully comprehensive fleet vehicle service, including regular servicing, maintenance and repairs whenever necessary in London. 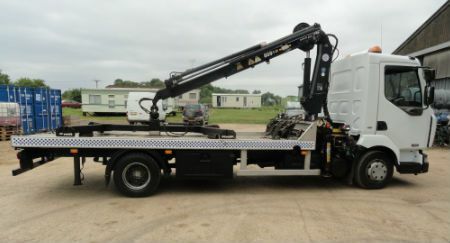 Our recovery vehicles allow us to recover and transport almost any vehicle up to a maximum weight of five tonnes, even if you are missing the keys to your vehicle. 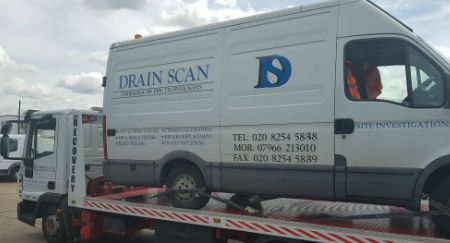 "Great work, would highly recommend FirstLine Recovery"
"Fast response time, they were here in half an hour!" "Quick car recovery with no fuss. Thanks!" 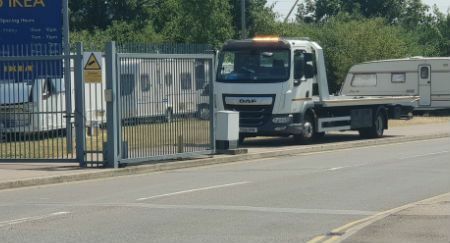 Our fleet of top quality recovery vehicles allows us to recover and transport almost any vehicle. 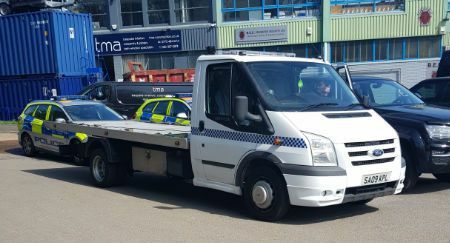 We are able to transport cars, vans, motorcycles and commercial vehicles up to a maximum weight of five tonnes. 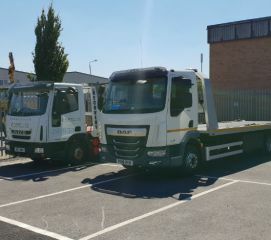 We can transport vehicles up to five tonnes.